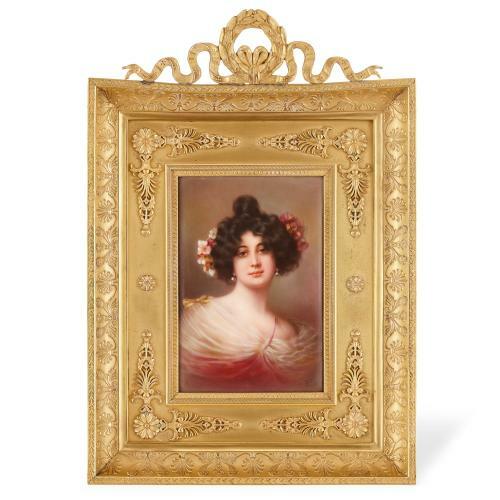 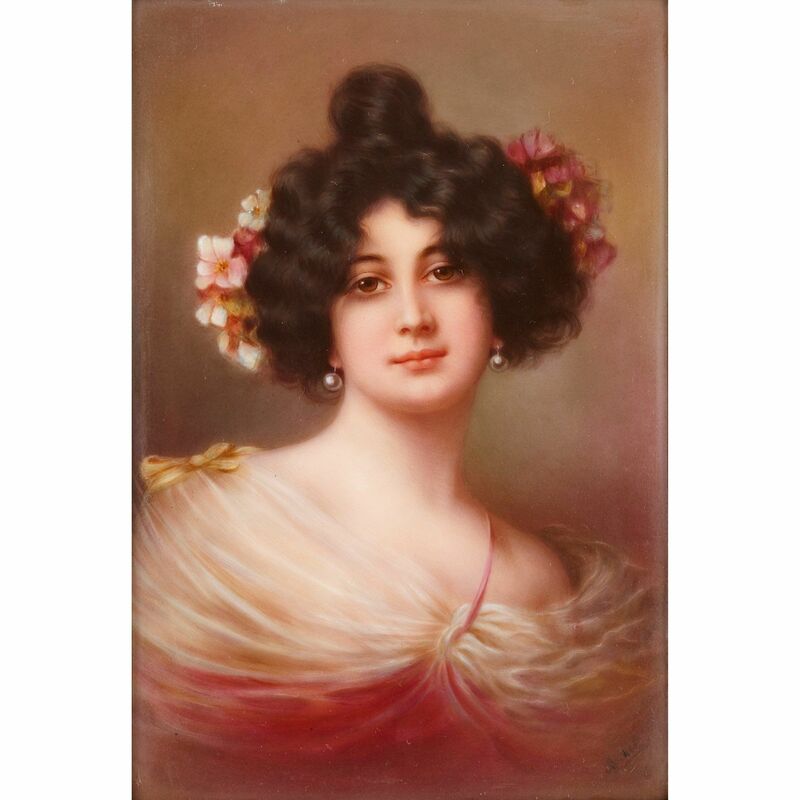 This antique porcelain plaque is exceptionally decorated with a portrait of a lady, of supreme quality, and is set inside a fine cast ornate ormolu frame. 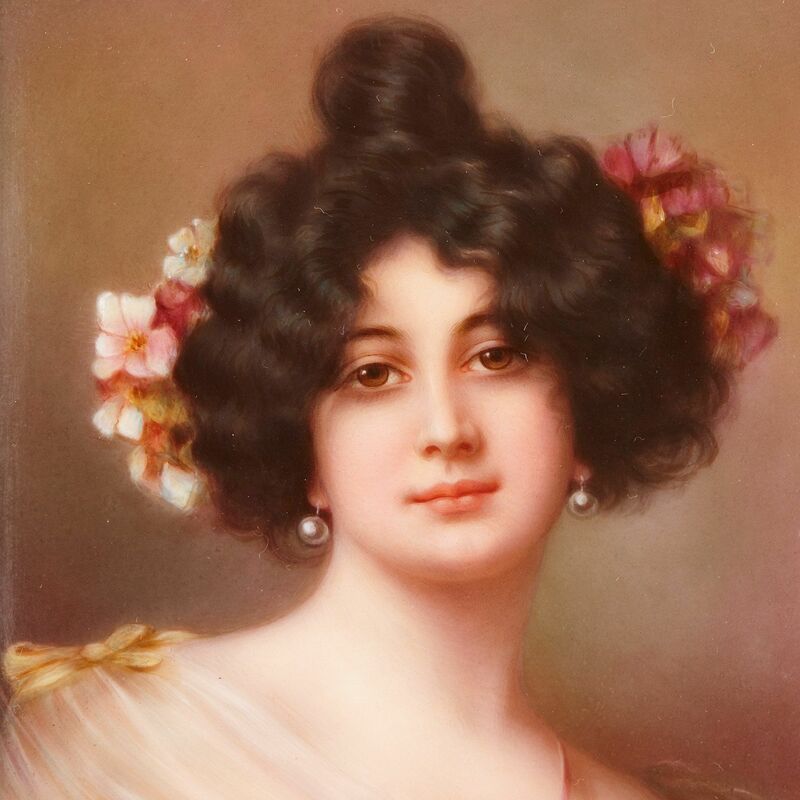 The plaque depicts a bust length portrait of a lady wearing a swathed pink dress, with flowers in her hair. 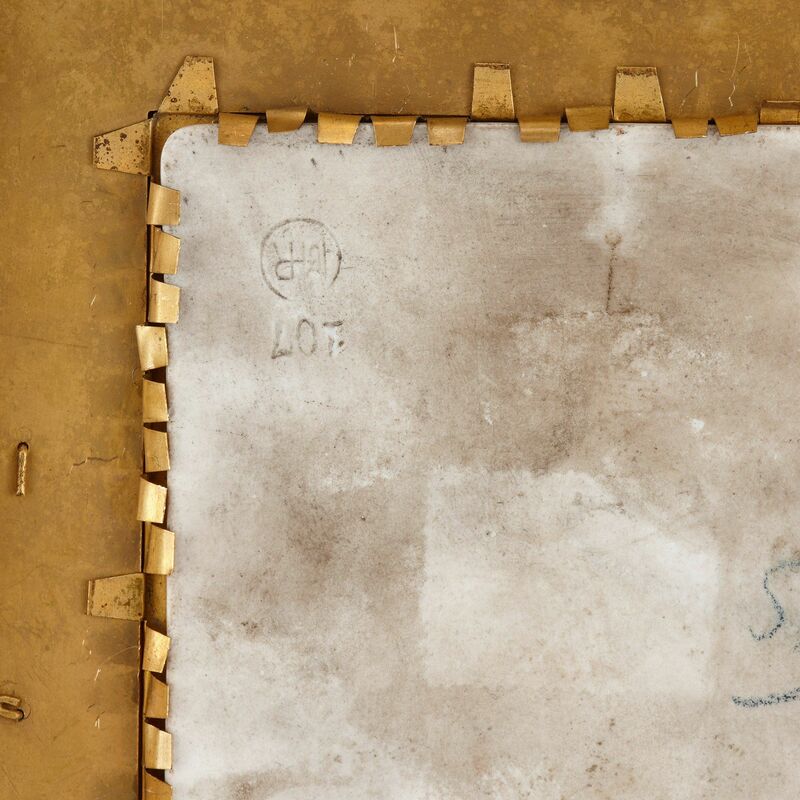 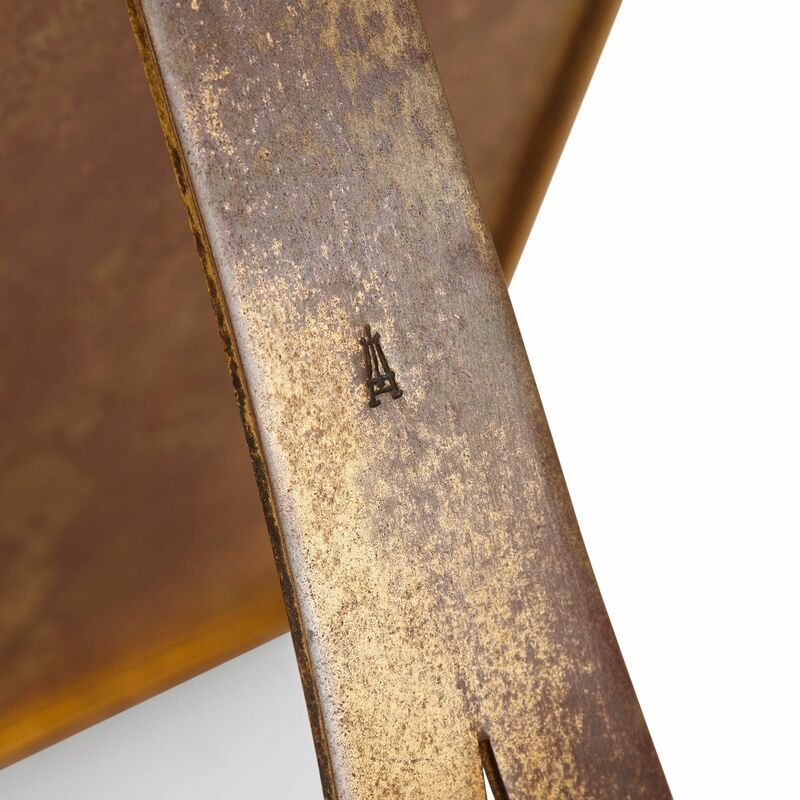 The plaque is signed with an indistinct signature to the lower right, and is marked to the reverse. 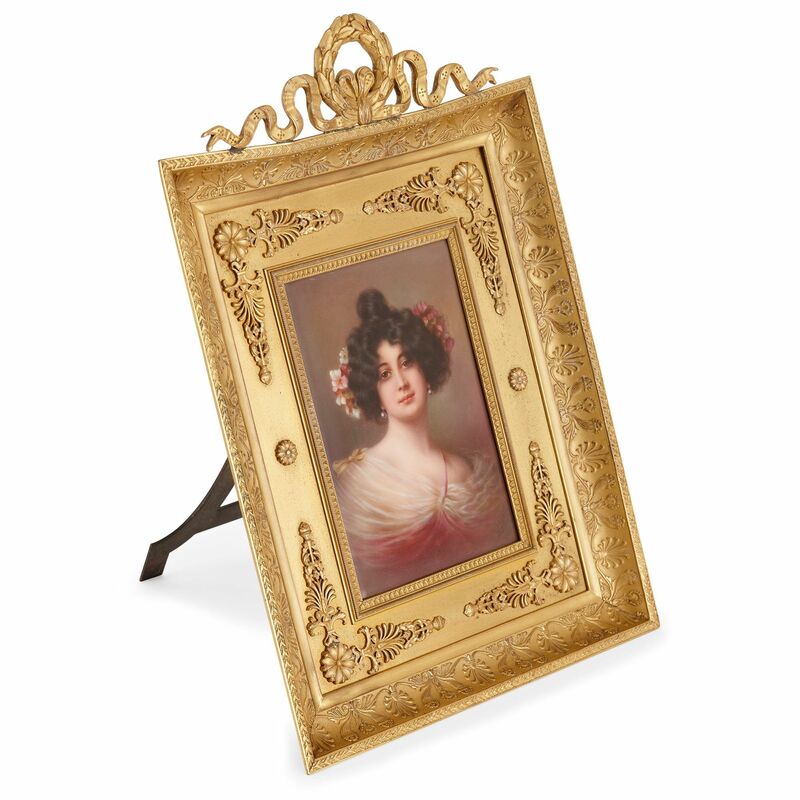 It is set inside an ormolu frame, decorated with floral and foliate motifs. 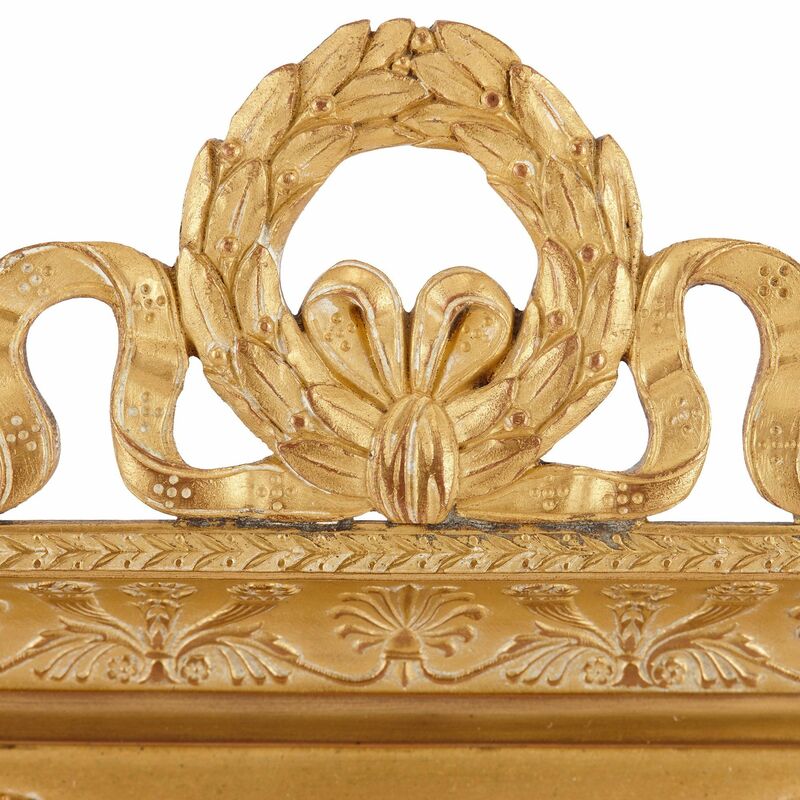 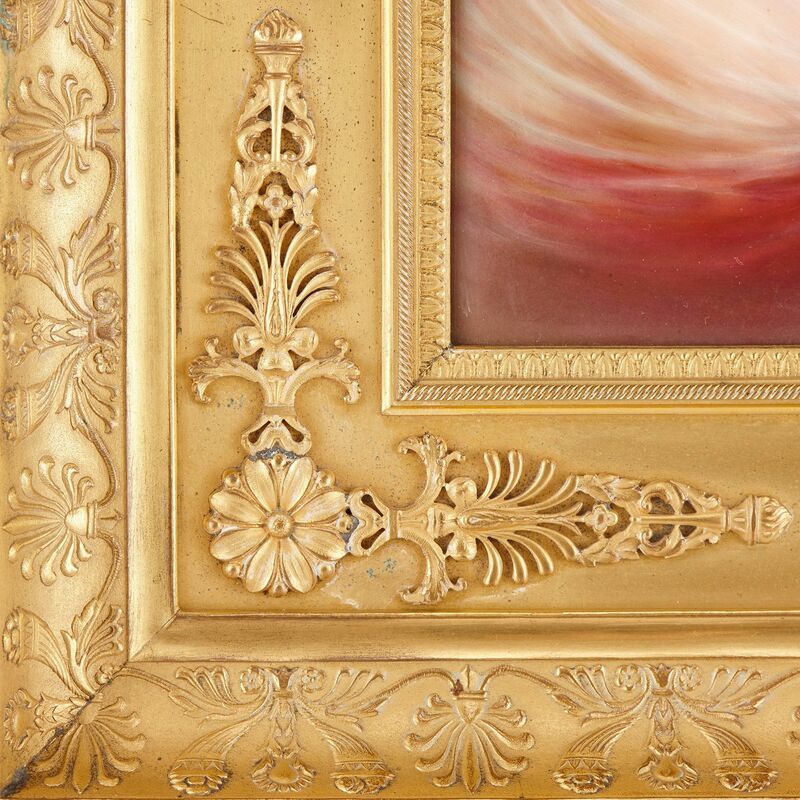 The frame is surmounted by an ormolu laurel wreath with ribbons either side, and is supported by a hinged arm to the reverse, which is also stamped.